There's no dignity in racing in the Distaff? "Jackson and Asmussen will have a difficult decision to make about their filly's future. The trainer would only say that he and the owner will "evaluate who she is and where she's at." Her main objective, supposedly, had been the Breeders' Cup Classic at Churchill Downs and a showdown with Zenyatta, but that seems utterly unrealistic now. Aiming her for the Ladies' Classic would seem beneath her dignity if Zenyatta does challenge males in the main event." I hope Mr. Beyer is at Saratoga for closing weekend, just so I can ask him in person how going to a grade one championship race is degrading. The Distaff this year looks like a solid lineup if the injury bug is on vacation, Blind Luck is the best of her generation and Devil May Care is a very good nine furlong runner, if Rachel Alexandra is to enter this race it will be a blockbuster race on its own merit. Not only will there be three all star fillies lining up, but also this would be a measuring stick for the three year old fillies against a legendary runner who is no doubt a first ballot hall of famer. How is this a spot that lacks dignity? As in any case the connections of a racehorse must evaluate how a horse is doing and enter them in spots that the horse can succeed in. 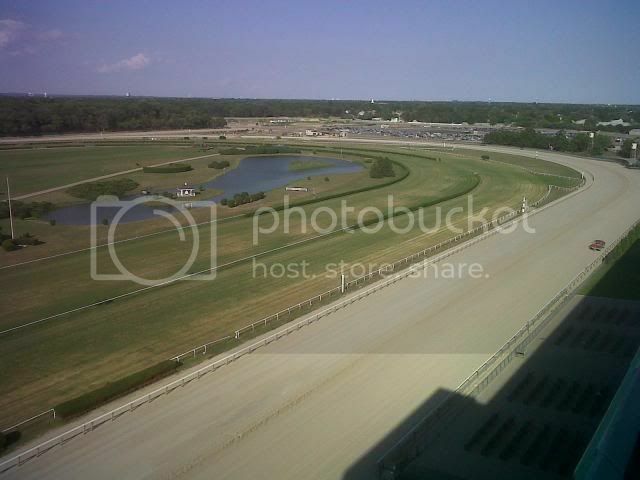 There have been two things proven in Rachel Alexandra's past record the first being that she is her most successful going 1 1/8 miles and the secod is she does demonstrably better at Churchill than any other surface, her two biggest margins of victory were over this dirt oval. The Distaff as a long term goal would make the most sense based on the two points stated. If anything Rachel Alexandra's loss in the Personal Ensign could be discounted by the fact that 1 1/4 miles is probably beyond the scope of her best distance and the intense pace pressure she endured did her in. It happens to best of them, Cigar gave way in the 1996 Pacific Classic after being wedged between horses and going 1:33 for a mile. Skip Away was dueled into defeat in the 1998 Jockey Club Gold Cup after being latched to the blinkered Gentleman for a mile. Chances are that Rachel Alexandra goes to the Beldame due to the spacing from her last race to this one and the real test will be how she performs in the Beldame where she could face Devil May Care. Time to paint a canoe! This is the type of weekend that reminds me of why I became a racing fan. Any time there is a major stakes race there is bound to be good racing surrounding the main event, one does not need to look further than the Triple Crown dates or Breeders Cup two day event for proof of this. The amount of great betting opportunities that transpire on these type of days is double or triple what you would find on any other racing day. The only thing worse than getting a bad trip from a jockey is getting no trip, Cherokee Queen had a bad start and lost her rider in her last race. Standing next to someone who bet the riderless horse for the entire race really broadens your vocabulary of swear words in a short amount of time. If you are looking for a price horse in the Ballston Spa then I would give this one a shot, she was defeated by Proviso by less than two lengths in the Just A Game two starts back. About a week ago in the MSG telecast of the Alabama, one of the NYRA handicappers was doing a piece on the upcoming stakes action and they previewed the Victory Ride. They mentioned that Pica Slew was a possibility for this race, the entries were drawn and she is no where to be found in this race other than the running lines. This race is a dart board race without a horse like Pica Slew entered, from first look Rapport may be an over bet runner in this spot based on her morning line and connections. She is zero for four on dirt with her best race being a nearly six length defeat in her most recent effort. The Ballerina served as the hangover stakes race that followed the Travers super card in recent years, they moved this race to Travers day last year and the Personal Ensign was moved to Sunday from Friday. Last year Music Note beat a very good field that included Indian Blessing and Informed Decision, Informed Decision returns to try her luck again a year older and no worse for the wear. She is showing the same form that she had last year on her way to the Breeders Cup Filly & Mare Sprint championship and this is her favorite distance. Jessica is Back is returning from her cutback victory in the Princess Rooney, another horse who relished the cutback one same day was Mambo Meister, he returned to run unsuccessfully on August 8 in a grade one sprint stakes. Round two for D'Funnybone and Discreetly Mine in the King's Bishop, Discreetly Mine has rejuvenated his career since moving back to sprint races and his last race was a very fast race. Either D'Funnybone has hit a wall or his last race was an aberrant performance, he lost as a very heavy favorite in the Carry Back to horses that he would have mopped up the floor with if he ran to form. Chances are these two runners will be hard to separate on the tote at short odds, Bulldogger ran a very fast race over a dull track last out and if he can handle the route like tendencies of a seven furlong race he will be a tough foe to defeat. Saturday's main event is the Travers and the absence of division leader Lookin At Lucky casts a large enough shadow that eleven are going to line up for the winner's share of the million dollar purse. A win by anyone other than Super Saver practically clinches the three year old eclipse award for Lookin At Lucky. The Jim Dandy may end up being a key race, Stormy's Majesty was far back in the Jim Dandy and won the Albany recently. On Sunday Rachel Alexandra will go 1 1/4 miles for the first time in what likely will be a litmus test for her chances in the Breeders Cup Classic. There is two ways to look at her prospects going the classic distance, she will handle this test with ease or her best distance is 1 1/8 miles and she will lose. Chances are she will be a massive favorite in this spot based on recent speed figures and reputation, she is not facing lightweights here though. Life At Ten and Miss Singhsix both ran at the 10 furlong distance last out and get a marginal weight break on Sunday. Rachel Alexandra's 2010 form is not as good as her 2009 form after close scrutiny. Her Fair Grounds debut is throwout based on the fact they tried rushing her back as an effort to get her ready for a race against Zenyatta that never materialized. In the La Troienne stakes she was defeated by Unrivaled Belle who since that race has lost two straight stakes as a heavy favorite, one of the loses being to Life At Ten in the Ogden Phipps. Her dominating win in the Fleur De Lis was at the same distance and surface as her twenty length score in the Kentucky Oaks, and her win in the Lady's Secret should have been by more against that group. All that being said she will probably win by a dozen after I tried finding any knocks against her recent resume. Going to back my favorite colt Stormy's Majesty in the Albany Stakes today. It looks like he only has to beat Ibboyee which is well within his skill set. Should be a great race. This sequence starts in race 8. 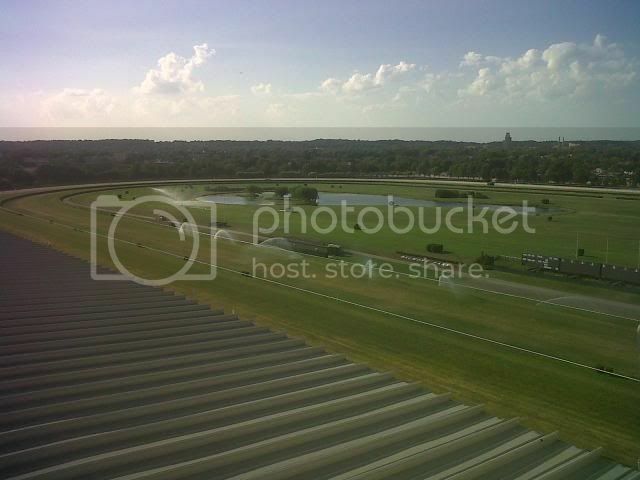 It would be great to beat Paddy O' Prado here. In fact I feel that if you can not beat Paddy it is best to pass the sequence. I decided to single Wigmore Hall in this spot and hope for that Euro form is trump. Seems like a wide open race Rainbow View is a SCR. Will hit the all button and save the strategy for the morning handball game. Gio Ponti is much, much, much the best here on his B game. Counting on him to bring it home. This is the time of the year when championships are decided. On Saturday, there are key divisional races being held including the Alabama Stakes and the Arlington Million with its support cast of the Secretariat Stakes and the Beverly D Stakes. After months of slow buildup and races leading to this moment there will be a winner decided, too bad this line isn't being used for Rachel Alexandra and Zenyatta. The Alabama has two showcase names in the three year old fillies division squaring off, Devil May Care and Blind Luck. Blind Luck should have been voted best juvenile filly of 2009 based on her dominating win in the Hollywood Starlet and Oak Leaf win, but that is last year. So far she has done little wrong in 2010 with four graded stakes wins on both synthetic and dirt, her last win she was all out to defeat Havre de Grace on a sloppy Delaware strip with a final time that bested stakes colts that ran earlier by nearly two seconds. Outside of the Derby misadventure from Devil May Care she has scored easy wins in the Coaching Club American Oaks, Mother Goose, and Bonnie Miss. The Tomlinson pedigree figure does show something revealing about the six fillies that are entered in the Alabama and that is their lack of stamina pedigree. None of them have a figure near 320, the highest is Devil May Care with 288 (no longshot angle there). For the contrarian bettors Havre de Grace could be of interest with four works (two of which are bullets) since her last start and the pace advantage of breaking from the outside in a small field. Gio Ponti returns from his narrow victory in the Man O' War on July 10 to face mostly American opposition in the Arlington Million. Only three of the ten entered are making the trip from Europe to run in this race and the American runners with the exception of Gio Ponti would have a tough time against international competition, which exposes the weaknesses of the turf racing in North America. Just to drive the point across, most years all a European invader has to do is win the Breeder's Cup Turf and they win the eclipse award for best turf horse. The Secretariat has Paddy O'Prado as its main attraction and the Beverly D could very be confused with a Grade 3 race any other weekend. If they didn't have the Secretariat, we could have had a Million that had Paddy O'Prado and a few other of the turf standouts from the three year old division in the entries. The Secretariat has worked against the Million like this in the past, in 2006 Showing up dominated his three year old rivals in the Secretariat and with The Tin Man wiring the Million field that year you could have made a case that Showing Up would have won the Million if entered for that event. Kitten's Joy won the Secretariat in 2004 and ended up dominating the competition that primarily ran in the Million later on in the Turf Classic Invitational at Belmont that October. I Want Revenge maybe running underneath the radar this weekend with all of the high class racing taking place elsewhere. This is his second start since scratching out of the 2009 Derby is the Iselin Handicap and the competition isn't going to be any easier in this round, Redding Colliery is having a very good year and is coming off a convincing score in the Lone Star Park Handicap. Chances are I Want Revenge will probably go to the Jockey Club Gold Cup from this race due to the spacing of the races. It would be nice to see a win out of I Want Revenge in this race followed by starts in the Woodward, Jockey Club Gold Cup, Breeders Cup Classic, and the Cigar Mile. If a horse was to run the table with those races at the end of the year, it would be hard to deny them Horse of the Year, just throwing that out there. The next three weekends are loaded with important division altering races that will have an impact on this year's Breeders Cup and it will be interesting to see how things shape up in the next few weeks. It has been slow around here. Frankly I have not made a watched a card/made a bet from the Spa since July but that will will change today. Wolly Bear ships down from Canada to face NY bred females. She is a speed type alpha-mare and it looks like she will go unchallenged today on the front end. I really love that she has won at distances from 6.5 to 9 furlongs and the two bullet works look great. She could face some pressure from Jessica but that one is distance limited. Look at the 1 mile work as they attempt to stretch Jessica out beyond her ability. I think Jessica will be conserved and the Bear will be loose on the front end. Wolly Bear is a prime play at 8-1 morning line. So far there have been 16 fast tracks out of the 21 days of racing that have occurred. There have been 59 sprint races and a paltry 11 route races run on a fast track as well or roughly a 5/1 ratio of sprints to routes. There have been five stakes races run at a distance of ground which narrows the amount of route races down to six races. This inflates the margin to 9/1, which equates to one full day of racing between route races run. There seems to be a trepidation towards running horses around two turns by the racing secretary, the trainers, or both. The fastest surfaces of the meet so far came up on July 28, July 29, and August 2 with the surface coming up a full second faster than normal. The slowest day of the meet so far was on August 15 with races going a 1 1/5 seconds slower than usual. These figures are based on the track variant I have been calculating on my own due to the fact the Daily Racing Form does not show the daily track variants in its charts online. The six and half furlong races are posting the fastest splits out of the sprints run so far, in my research before the meet using the 2009 charts the same anomaly showed up. A horse that showed speed coming out of a 6 1/2 furlong race or horses that ran at this distance could be a handicapping angle that could be of use for the next few weeks with horses running back from earlier efforts at the spa. I had some time to kill between races at the Saratoga simulcast from Belmont Park, so going up to the roof of the facility seemed like a just as good an idea as anything else I was thinking of. This time around there was only one qualified bidder, the last time there were three and the winning bidder was exposed for fraudulence by the major New York daily newspapers. Hopefully for the sake of NY racing, there is no scandal involved with the parties at hand and all past legal matters involving the disqualified winning bidders is resolved swiftly. Yonkers Raceway can serve as an example of how slots and horse racing should not be done, keep in mind I am going off my observations from visiting the raceway from two years ago. On my last visit there the third floor was the only floor dedicated solely to betting and watching horse racing action from around the country. On the second floor there was a restaurant with two betting windows and the rest of the floor was dedicated to lottery sales and video lottery terminals. The first floor had an outdoor betting area that could not have measure no more than fifty feet and the rest of the floor was video lottery terminals. On my very rough calculations of racing to slots ratio, 1/3 to 1/4 of the track was dedicated to the racing aspect and the rest of the plant was a slot machine haven. Also of note, you had to walk through two floors of slot machines before getting to the racing dedicated floors. It is kind of like Dawn of the Dead where the population will start off dense on the first floor and taper off to next to nothing by the time you hit the third floor. You could hardly tell there was live or simulcast racing happening on the slot machine floors because every available television screen was dedicated to getting people to sign up to their rewards card or getting you to play the machines in one way or another. This is what I do not want the upgraded facilities of Aqueduct to turn into, this place is in need of some serious renovation as evidenced by past photos posted here. However, the improved Aqueduct should serve both the needs of the slot jockeys and the jockey handicappers in a fair manner. The second and third floor of Aqueduct needs to be improved upon, because the place looks like it is 10-20 years behind the rest of civilization. Last time I was there they had a poster for the 2000 Kentucky Derby futures hanging in a prominent location. The sports bar needs some rehab, it uses the tube televisions that used to hang in the grandstand and I am pretty sure you can pick up a disease is if you walk barefooted on the carpet in there. Also a Vegas style simulcast center where you don't have to pay three dollars for a seat or bet a $100,000 or more on your NYRA Rewards account for a Players Club card to access the room would be a welcomed addition by many. There are hidden benefits of the Aqueduct project including improved bus and rail commute to the area, new jobs, and added revenue to the area. The cash flow generated from the VLTs will increase the purse structure, hopefully this will increase the field sizes for each race. The slots have been long overdue from when this bill was originally passed and the facilities at Aqueduct show this. The lack of money that could be put into this place to keep it a modern racing center can be seen from the transition from the upgraded first floor to the antiquated second and third floor. Hopefully the revenue from the slots can return NY racing to a place of prominence and not a second class racing outfit where runners are lost to out of state competition.